We do have to spend so much time when formatting PC. We are obliged because of windows installation speed. But using simple commands we can do this very quickly. As we all know ,that during formatting a Computer, after the file copying is completed then windows Require approximately 39 Minutes Time. How to Install windows in 15 Minutes? Now After Reboot The Below Image Will Appear (in windows XP, In windows 7 screen will be shown as above image)…. 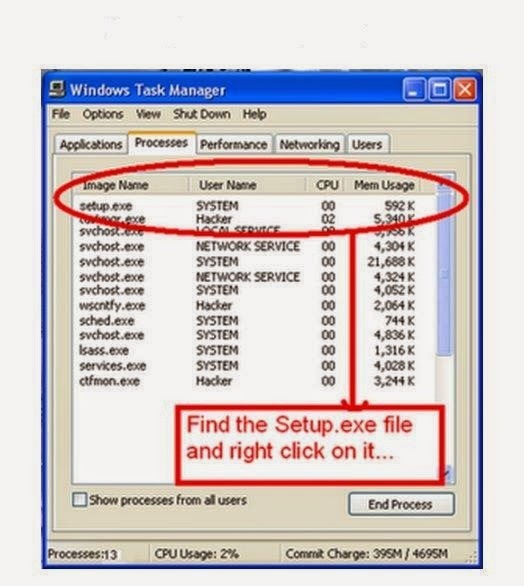 STEP 3 : After The task Manager Opens Go to Processes … And Find “Setup.exe” process and Right CLICK on It…. and set the Priority to Highest…. STEP 4: Now Just Watch the Set up and it will take 15 to 25 minutes (depends on System to system)…. That’s It.You Can Use this method in Both Windows 7 And 8. So When you Format your PC next time, it will really save your time i.e around 15 to 25 minutes.